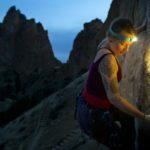 The Patagonia Nano Puff Hoody is the latest in the Nano Puff collection which is windproof, water resistant and warmer than it looks for such a light weight jacket. The recycled ripstop fabric is soft and comfortable against skin. This jacket comes in my favorite color, a high frequency blue-purple called Harvest Moon. It’s gorgeous. I sized up to accommodate layers, and the fabric works great over bulky fleece. 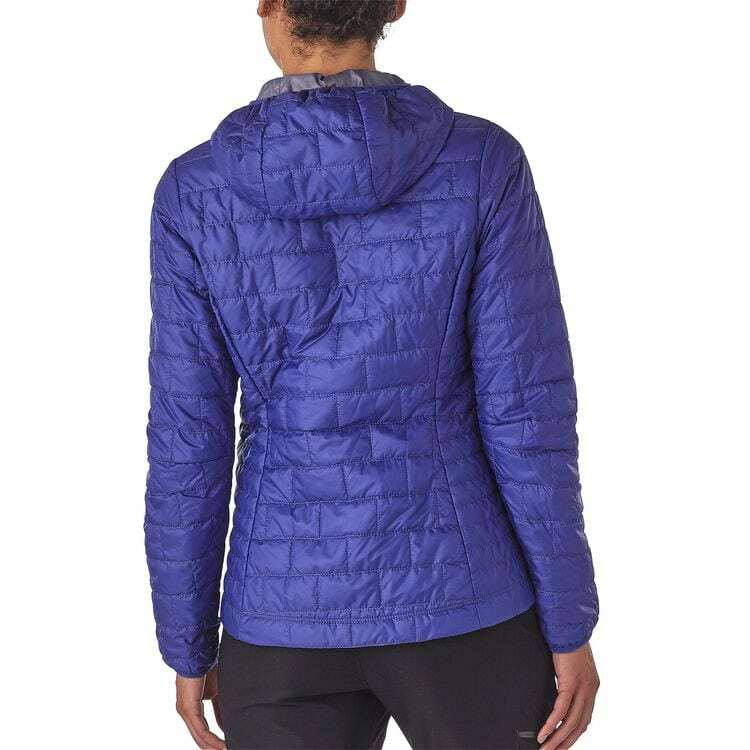 The insulation is made with 50% recycled polyester in a prima loft that is designed to keep you warm even when wet. A helmet compatible hood has an elasticized outer seam to keep it in place and trap in heat. It works really well–a hood that stays in place is important to me, particularly on windy days. This hood is not going anywhere. The cuffs have the same elastic, but it’s a looser fit. There’s an adjustable cord at the hem to cinch tight on windy days. When the jacket is fully zipped, it’s super cozy with a thin strip of velvety fabric at the top of the zipper for comfort. The jacket has zippered hand pockets and a zippered chest pocket that converts into a stuff sack with a carabiner loop so you can clasp it to other gear. It’s perfect for having in your daypack for when you need it, and since it packs down so small, there is no reason not to take it on your trip. It’s a great travel piece and a Fall must-have. It comes in several colors, but Harvest Blue Moon is mesmerizingly beautiful to me, and easy to find among my usual sea of black and gray. It’s a go-to piece. 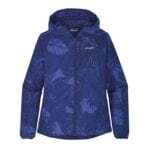 Find the Patagonia Nano Puff Hoody HERE. 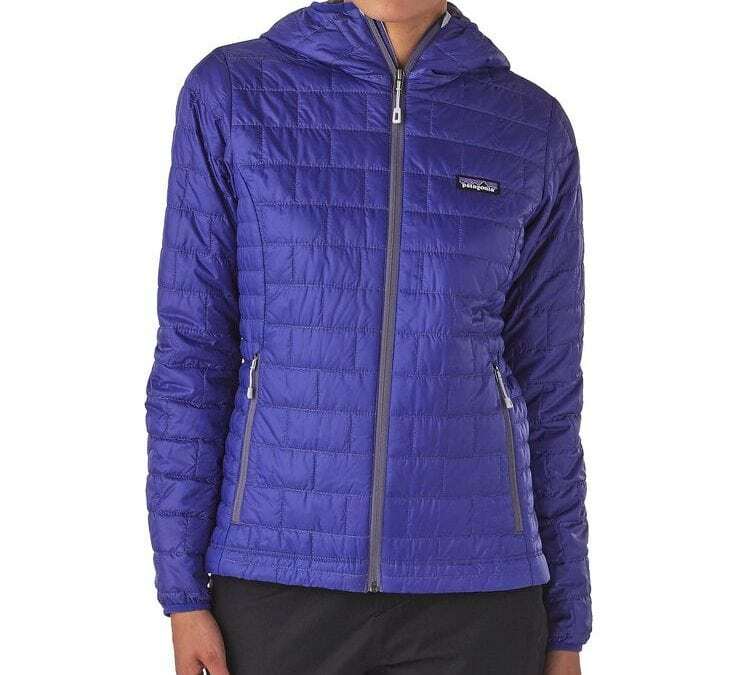 Patagonia Houdini Jack Reviewt: Bold, Light, Perfect for Summer!